Jeff Goodwin, the key makeup artist for Super Mario Bros, found SMB Archive online and contacted me, saying that it was a fun project for him to work on and that it was nice to see that people still appreciate the work everyone did on the movie. When he asked if there was anything that he could contribute, he was kind enough to do an interview at my request. What follows is a very interesting account of the making of Super Mario Bros. from his perspective, and it ultimately ends up clearing up some questions lots of fans have had (and also raises new ones). So, enjoy. Ryan Hoss: So Jeff, tell us a little bit about yourself first. How did you get involved with makeup, and into filmmaking? Jeff Goodwin: I was born 8-12-61 in Columbia, SC, about as far away from Hollywood as you could be. I always loved movies; my family used to put us kids in the back seat of the car and we would go to the drive-in theater all the time! When I saw the original Planet of the Apes (1968), and I saw that first gorilla riding on horseback up on the big screen, that did it for me! I was hooked, I knew then that I wanted to be a makeup artist for movies. My journey to get there would fill a book, so long story short. I did become a makeup artist for movies and television and went on to do some very good movies and even a few that are now considered classics. To list a few, Blue Velvet for David Lynch, the original Teenage Mutant Ninja Turtles, and The Last of the Mohicans. RH: You told me previously that you were involved in the production of Super Mario Bros. for a long time. At one point, the script for the film was completely different from the finished product and was very fantasy based. How/when did you become a part of the project? JG: I can not recall dates; it was some years back now. 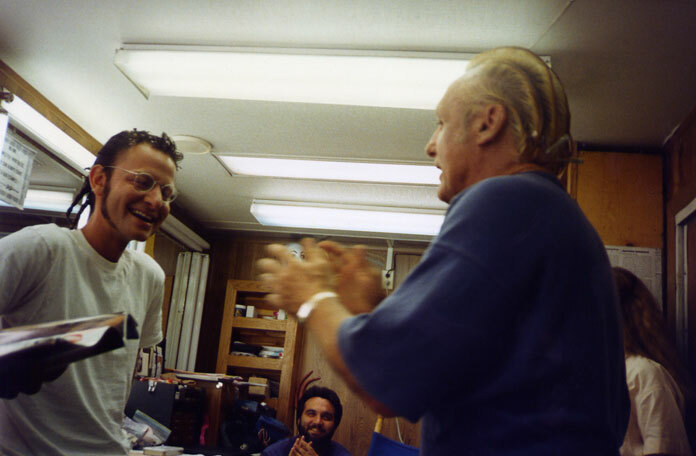 Fred Caruso was one of the producers on the film and he and I have worked a lot together. He hired me to do the film and yes, the original script I saw was a very dark very serious more in the line of Blade Runner. There were three different versions of scripts floating around; one early version had “mushroom people.” In my opinion this was all part of an early problem for the film. The production spent way too much money on developing some of these early drafts of the script they eventually spent a lot of their budget before we ever started shooting the real movie. There was even problems with some of the actors who signed on to do the film with one script and others with another script and then when everyone came to shoot the film a new script was handed out that was nothing like either script! RH: How familiar were you beforehand with the Super Mario Bros. games? Did you do any research to help you become invested in the project? JG: I have to say, I am not a video game fan, so I was not that familiar with the game. Production’s take on the whole thing was “This ain’t no game!” so they did not want us to follow the original game so close. When doing a movie in pre-production, I work very closely with the director. And in this case we had two, a husband and wife team. On the first unit and then we had a second unit director and a third unit visual effects unit directed by Chris Woods. It was the biggest film going at that time; we had a huge crew! 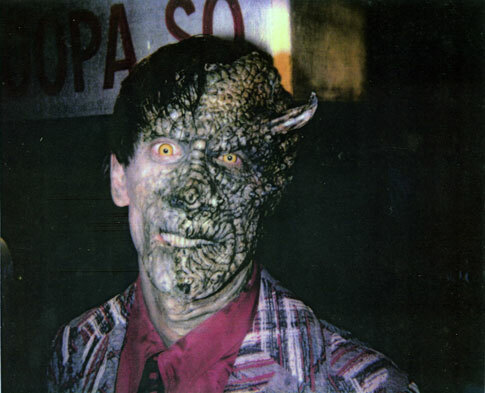 One of Jeff's makeup designs. Creepy...but cool. RH: Did anything really stand out or interest you from a pre-production standpoint? JG: Pre-production is a battle on most films and this one was just that but it seemed to be more of a battle for budgets for each department, so much had been wasted on things that were thrown out before we even shot a frame of the film. RH: What kinds of tasks were involved (from your end) to get a project like this moving? JG: Like all my jobs it comes down to putting together the right team to do the job the best we can for the budget we have to spend to give the director what he wants. But remember I said we had two directors, a husband and wife team. Who for the most part could never decide on anything together! A lot of money was wasted that way. I had to set up my makeup department and my makeup effects department. My hair stylist was Michelle Johnson and she pulled together her department. She is my favorite hair stylist to work with; she is brilliant with hair! For my Makeup Department, I had Sandra Orsolyak and Amy Snyder with me on first unit doing the main actors. On second unit I had Herita Jones. 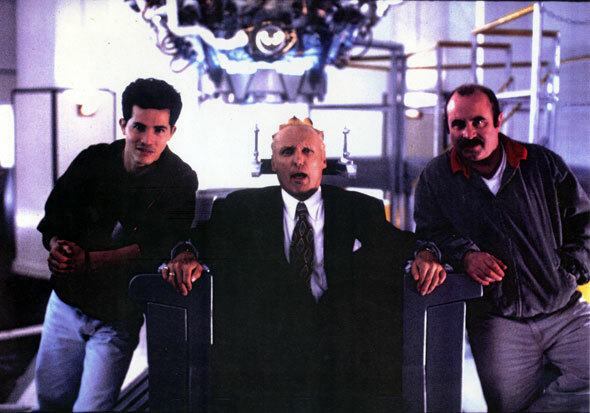 And I had Vincent Guastini and Evan Campbell on prosthetics. Jake Garber joined us later to help apply creature prosthetics. I had a great team and our department had a lot of fun and all worked together well. And yes, we did shoot almost the entire movie at the Ideal Cement Factory. But for us, the crew, this was nothing new. The Ideal Cement Factory was, as we use to joke, like a second studio. We began shooting films out there as far back as 1985 with Raw Deal with Arnold Schwarzenegger. And we shot a lot of Teenage Mutant Ninja Turtles there as well. RH: What did you think of the location that the film was shot at, in the Ideal Cement Factory? If I’m not mistaken, almost all of the sets and special effects and makeup departments were all located inside the factory. JG: I always thought that the cement factory was a great location to shoot. You could do so much with it! And yes, we could be more self-contained like we were in a studio because we could have our makeup effects lab and certain departments set up in the place. I had my effects department inside the building itself and we had three makeup trailers. One for the hair department, one for the makeup department, and one for the makeup effects department (that I was heading up all of). On a film of this size it is common practice to split up the effects work to different companies. We had one company making Yoshi (which I thought was brilliant by the way! ), and another company doing the Goombas which worked well. Another company did the final dinosaur version of King Koopa. And then there was me heading up my crew to do all the rest of the makeup and prosthetics on the actors and doing the transformations which is the name of my company too. We handled all things that go on people or main actors. Like the De-evolving scenes. Especially from man to monkey! Another one of Jeff's makeup designs. Check out those contacts! RH: As the key makeup artist, I would assume that you had a hand in doing the makeup for most (if not all) of the major stars. Who was the most interesting person to work with? Or the most difficult? JG: All of our actors were great to work with. Some like Dennis Hopper and I had worked together before. And I went on to work with several of the actors from Super Mario Bros. again over the years on different films. 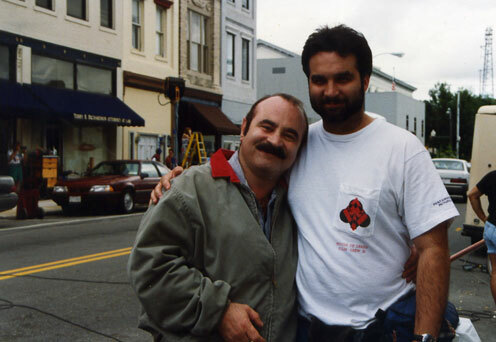 Bob Hoskins and I just did a movie version of Pinocchio last year together here in Italy where I live now. He is a very nice man. But he did not enjoy the making of Super Mario Bros.! For Dennis Hopper’s character, King Koopa, I wanted him to look strange without it being so obvious at first what was wrong with him! So, I used an old trick of mine that I love. I had used it before on Gary Oldman in a Nick Roeg movie called Track 29. I removed their eyebrows! When you do this it makes a person look very strange, but you can not quite figure out what it is that is different about them! I gave him some red stipple in the eye sockets and with Michelle’s brilliant ruffle head hairdo, I think he looked pretty weird. Dennis loved it, in fact I had a photo hanging in my Lab for years of Dennis as Koopa that he signed for me that read. “Thanks for making me look so good! Frank Booth Lizard!” This made me laugh, because Frank Booth was his character's name in Blue Velvet, the first film we did together. RH: Did you get to work with Mojo Nixon (Toad)? If so, what was he like, and did you get to craft his awesome spiral haircut? JG: I worked with all the actors in the film. Mojo was a nice guy. Michelle did his spiral haircut, which there was a photo spread in Rolling Stone magazine at the time of her giving him his haircut. And yes you are right it was awesome, Michelle is the best! RH: As well as working on the makeup, you also had a hand in the makeup for the special effects for the movie. As you said yourself, Super Mario Bros. really was/is a more groundbreaking film for the movie industry than most people realize. Elaborate a bit on that for me. JG: Well I had to give them some creatures, that were not quite evolved. So I sculpted all of these creatures myself except for the one full head lizard man which Vinny sculpted. We had a Crocodile Man, a Triceratops Man and others we had I think 8 in all total for the film. They were a lot of fun to do and Vincent and Evan did a great job on applying these makeups. But the real fun part came when we did the visual effects unit stuff. At this time things were brand new as far as digital effects. And with the CG they could fill in between real things, but to create something from nothing was still very hard. So for some of the effects I had to start and stop them using prosthetics and they just filled in the middle parts! For example, King Koopa’s tongue. In the scene with Princess Daisy where we see he has an elongated lizard tongue. I had to make fake tongues that fit over Dennis’s real tongue that looked like that. And with CG they blend them all together for the slithering tongue effect! It worked great. There was also another scene which got cut from the film (a bit too risqué for the kids) where Koopa and Lena french kiss. I made these tongues for Dennis and Fiona that were wrapped around each other. Then we had the pull apart and shot it in reverse. And it looked like their long lizard tongues just wrap around each other! It was great and worked great, just not for kids! Fiona Shaw who played Lena was great to work with as well. I tried to give her the look of a classic Disney animated female villain; she was fun! RH: Being a Digital Media major and aspiring graphic artist myself, the way the CG effects were accomplished are very intriguing to me. Could you talk about that a bit? JG: I have a hard time even sending an e-mail—I know nothing about computers! But this film was the first to use and have so many CG effects in it. Like I said we had a third unit just for this that was directed by Chris Woods, who was in charge of the visual effects. My wife Stefania Girolami was the first assistant director for Chris on this unit. One of the cool breakthroughs in my opinion was that before CG, we had no idea what the effect would look like. With Chris he would already have some plate shots done or some effects work done that he could actually overlay with special video monitors so you could see the shot as it would look in the end. This was also used to line up actors to make sure they were in the right place in a frame as well! RH: You were involved with making a lot of the primordial, green slime used throughout the film. Here comes a question that a LOT of the fans have been wondering about. There is a scene in the film when Koopa demonstrates the process of de-evolution, in which he turns the character Toad into a Goomba. Half of the way into the scene, there is a large puddle of unexplained green ooze in the floor. Pieced together from film scripts, screen shots, and some sparse behind-the-scenes video, it has been concluded that there is some sort of deleted scene in which someone got de-evolved into the green ooze after Toad was transformed into a Goomba. Can you shed some light on any of this? JG: Yes we made hundreds of gallons of the green slime! It was everywhere! And yes, there was a scene that got cut where Koopa de-evolves someone back to primordial ooze in front of Mario, Luigi, and Toad. Then they put Toad in the chair and you think that he is going to die and turn into slime, but instead is turned into a Goomba! That is why there is slime all over the chair and floor in that scene. RH: Do you recall any other deleted or extended scenes from the movie that were filmed? JG: There was a scene planed where Iggy and Spike would catch a fly on the windshield of their car as they are stalking the princess. I built a long tongue on a stick with cables to control it that worked very well, but the whole scene got cut before we ever even shot it! More of the waste I was talking about! RH: Were you involved with the effects for the final scenes, when Koopa transforms into first a humanoid lizard, and then a full-blown T-Rex? 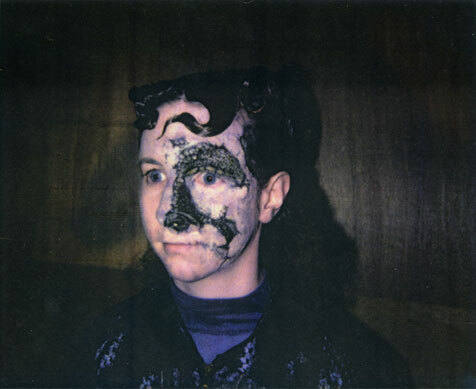 JG: I was involved with the stages that required Dennis to be in prosthetics for the first of the transformation, along with Jake Garber and Vincent and Evan. 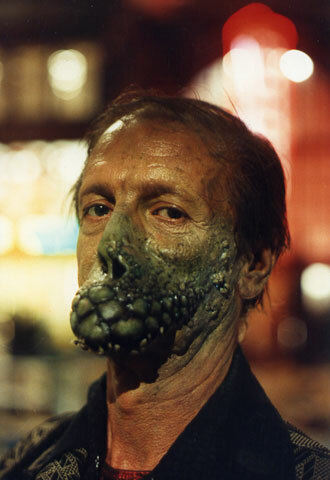 There were three different stages to the makeup before the full-blown T-Rex creature which was made by Rob Burman and his crew. And of course we made all the lovely green slime again! RH: What was your favorite makeup to apply in the film? JG: I enjoyed all of our crazy half lizard and dinosaur people. Like Crocodile Man and Triceratops Man, they were my favorites. "Get away from my baby! GET AWAY FROM MY BABY!!!!" RH: What was the most difficult task you had to accomplish? JG: Believe it or not, sweat! It was so hot inside the factory when we would shoot that keeping the actors looking dry and good was the biggest challenge of the whole damn movie. And of course when you are dealing with gluing on prosthetics, sweat is not your friend! So that was our biggest problem. And just keeping all three units moving smoothly it was a big job. RH: If you had to choose, what would be your favorite shot from the film? JG: I think my favorite shot would be when you see Koopa City for the first time in all its wonderful craziness! Which is a wonderful combination of live action and CG. JG: There was a lot of turmoil on this film, mostly caused by Rocky and Annabel. They were not well liked by the crew or the actors. And yes it is true that Rocky poured hot coffee on an extra. The guy was wearing a black rubber suit and mask and Rocky was arguing with the wardrobe girl wanting it to look more shiny and before anyone could do anything, Rocky just poured his hot coffee on this poor guy! Even though he was wearing a rubber suit it burned and hurt the extra! I was there, I saw it happen! The Factory was just hot and dirty that is all, no major health problems. Remember we use to shoot there on many films! And yes one of our producers was Roland Joffe, who is a very well respected director and he did start up his own unit to catch up on stuff that was falling behind. This one is pretty interesting. What if Koopa had horns like that when he de-evolved? RH: When was the first time you got to see the completed film? JG: They had a screening of the film for cast and crew right before the film came out. That was the first time I saw the film. RH: What did you think about it? JG: Honestly, I did not think very much of the film. It looked cool and that was about it. RH: What do you think about it now? JG: It has been 17 years since we made this movie. And like all the film that I have worked on I have good and bad memories. I still think it was a cool looking film which is mainly due to the production designer David Snyder (father of Amy who worked with me). David was art director for Blade Runner and is very talented. But as far as being a good movie? No, I don’t think that Super Mario Bros. is a good movie. Sorry! I now have a 12 year old son, Max, and he likes the movie. So see, everyone has different tastes! RH: As far as you know, was there any work done (or even people talking about) doing a sequel to the film? JG: I never heard of any plans or talk of a sequel; it was not a hit when it came out. "I did not think very much of the film. It looked cool and that was about it." RH: What are you doing these days? JG: I now live in Rome, Italy. Still working in the film biz. JG: I am glad that people enjoy this film! It was not the most fun to do or watch for me but there is always something good out of everything! We all put in a lot of hard work and this was a very long film to make as well. So I am pleased that there are people who liked it and still enjoy it! For this movie Rob Burman, Vincent Guastini and myself were nominated for the Saturn Award from the Academy of Science Fiction, Fantasy & Horror Films for Best Makeup. 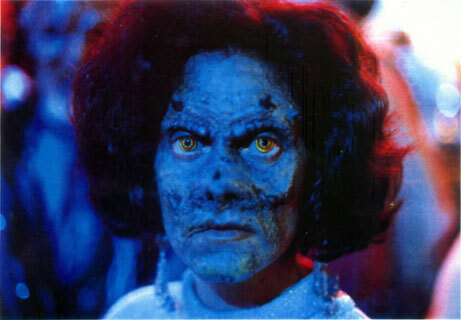 And Vincent and I were both short listed for the Academy Award for Best Makeup for this film. Jeff, I’d really like to thank you for this interview! Your input and feedback into the website is very much appreciated!